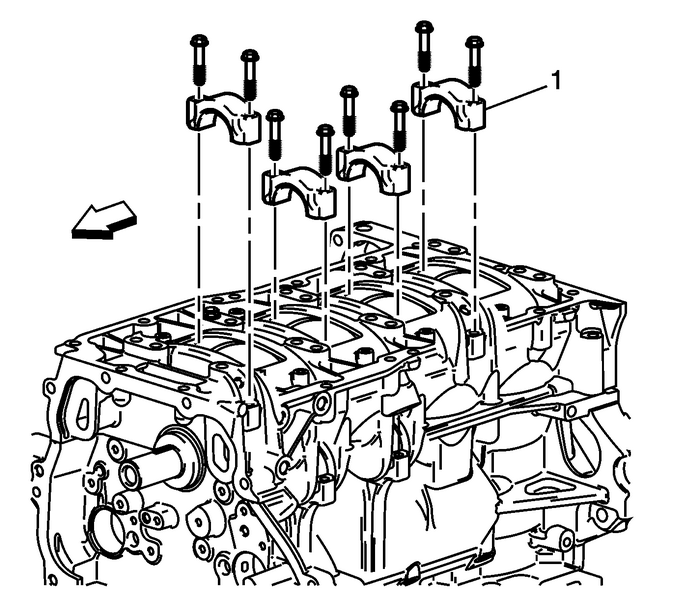 Rotate the crankshaft to a position where the connecting rodbolts are the most accessible.Mark the connecting rod and cap with the cylinder position.Also mark their orientation. 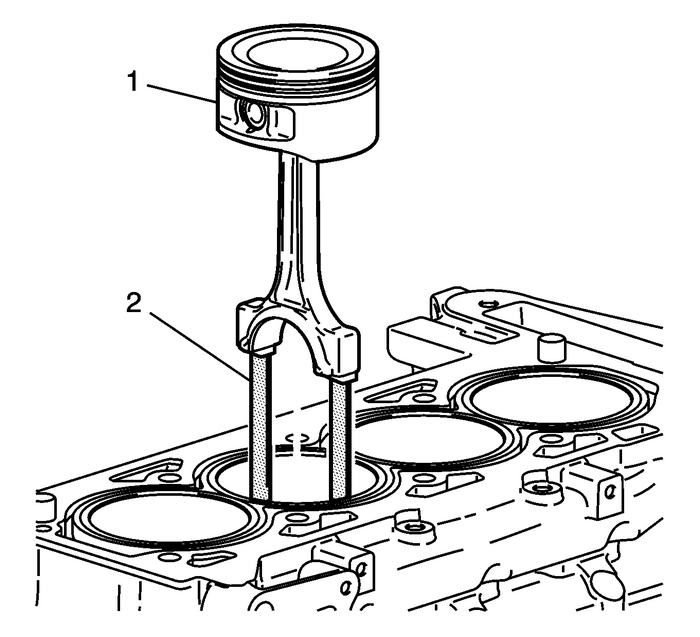 This will ensure the caps andconnecting rods are re-assembled properly.Remove any ridge at the top of the cylinder bore to avoiddamage to the piston ring lands.Remove the connecting rod bolts.Remove the connecting rod cap-(1). InstallEN-43966-1guides-(2) on the connecting rod bolts beforeremoving the piston and connecting rod assembly.Remove the piston and connecting rodassembly-(1).